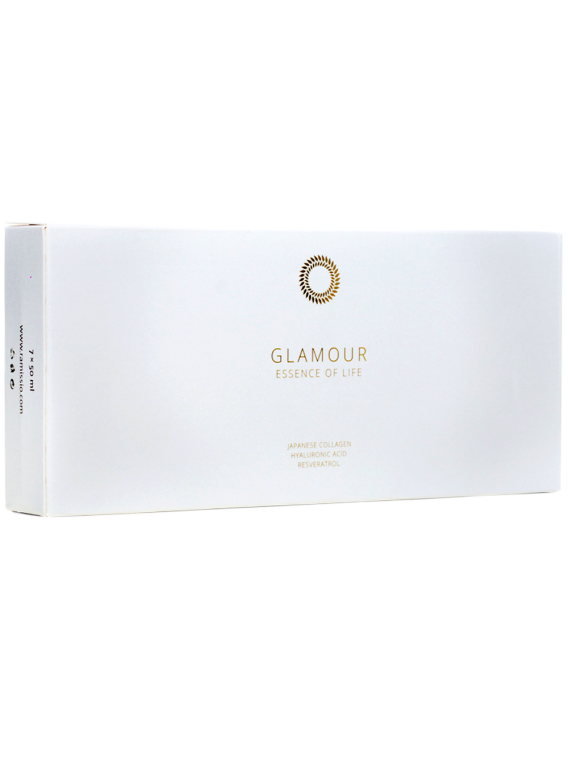 Ramissio Glamour is a highly effective serum which prevents natural skin aging. It is unique because of the high source of 100 % pure fish collagen. One dose contains 12 000 mg of it and it makes our collagen exclusive on the market. In combination with hyaluronic acid and resveratrol it maximally hydrates skin, suppresses aging effects, stimulates faster growing of hairs, nails, and eyelashes and helps with losing weight.